Prevalence of childhood obesity, The Health and Social Care Information Centre, Lifestyle Statistics. The proportion of Year 6 students (age 11) in each borough who are counted as obese in 2015/16. In London as a whole, 23% of Year 6 students were obese. This is a higher rate than in England, where 20% of Year 6 students were obese. Both London and England experienced a slight increase over the last five years (one percentage point). Across the boroughs, the change has been uneven. Eight have seen an improvement with the level of childhood obesity falling, while in eight boroughs there has been an increase of more than 3%. 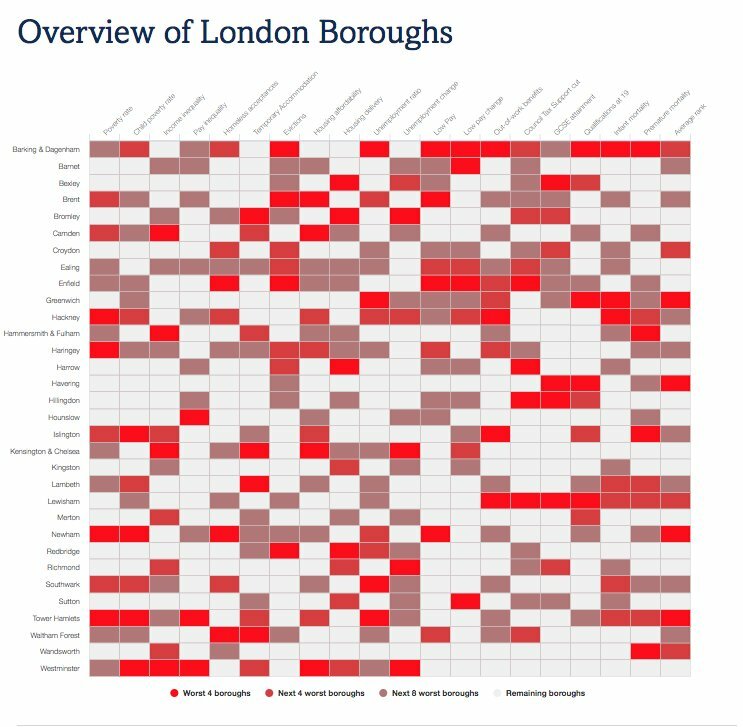 In 2015/16 there were nine boroughs – Westminster, Enfield, Waltham Forest, Hackney, Tower Hamlets, Southwark, Newham, Greenwich and Barking & Dagenham where at least a quarter of children in Year 6 were obese. In 2010/11 there were only six boroughs where at least a quarter of children were obese. Barking & Dagenham had the highest level of childhood obesity at 29%, a 4 percentage point increase from 2010/11. The borough with the largest increase was Waltham Forest. In 2010/11 20% of Year 6 children were obese but by 2015/16 there had been a 6 percentage point increase to 26%. Richmond had the lowest level of childhood obesity at 13%, up 2 percentage points in five years. 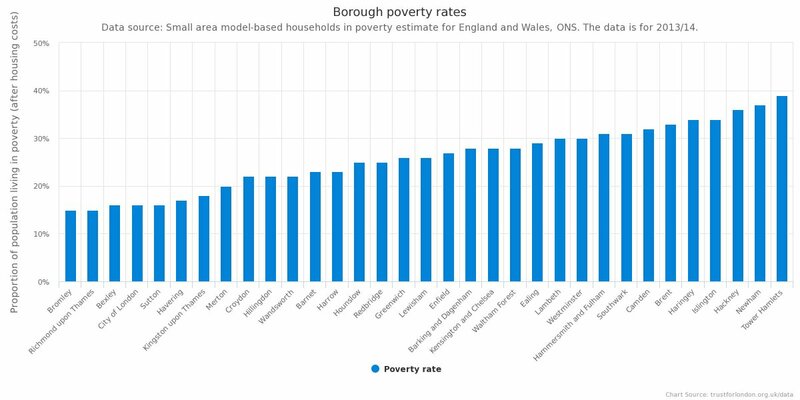 This remains far below both the London and the England averages. There were six other boroughs whose obesity rates were below the England average in 2015/16: Bromley, Kingston, Sutton, Kensington & Chelsea, Merton and Wandsworth.